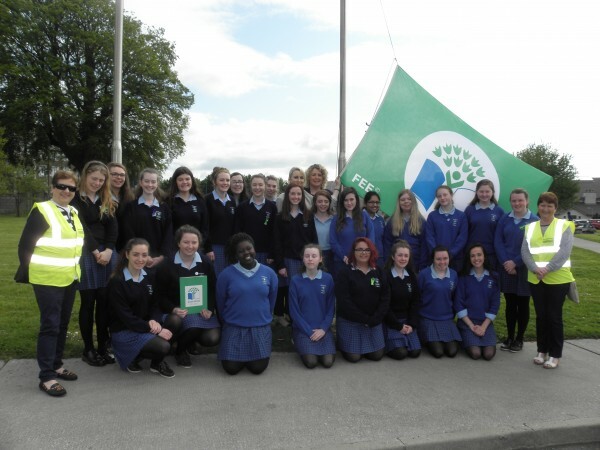 St. Mary’s Secondary School is an all girls voluntary secondary school in Mallow with over 570 students. They were awarded their Litter & Waste flag in May 2016. Overall they reduced their landfill waste by over 33%, improved recycling and eliminated litter blackspots. A representative from each English class for all year groups was chosen. Students who were interested in being part of the committee made a presentation to their classmates outlining the reasons why they should be elected to the Green-Schools Committee. An anonymous class vote took place in each English class to decide on the committee members. The committee meet weekly and disseminated any decisions made through announcements, noticeboards and their Facebook page. (a) Plastic bottles; (b) Food cartons; (c) Confectionary wrappers; (d) Paper. In terms of waste, the school has 3 x 1100 litre paper and plastic recycling bins, 1 x 1100 litres cardboard, 1 x 240 litres glass bin and 2 x 280 litres compost bins. The school provides information to staff on a continuously rolling PowerPoint presentation in the staff room. To increase recycling by 2 lifts (40%) in 8 months. To increase cardboard recycling by 1 lift (100%) in 8 months. To keep the school litter free targeting litter blackspots. 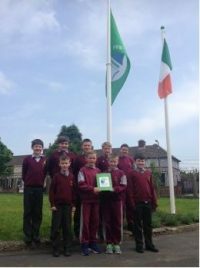 They found organising a launch day for the Green-Schools programme was an effective awareness raising tool starting out the programme. One of their most successful actions was encouraging staff to reduce the amount of paper they used. Litter is monitored by regularly visiting known litter blackspots. The team reward students who put their litter into the correct bin with a lollipop. If a litter blackspot is identified, the Green-Schools Team inform the Green-Schools coordinator who visits the students who hang out in these areas at lunch reminding them to be responsible and that they know what is recyclable and non-recyclable. 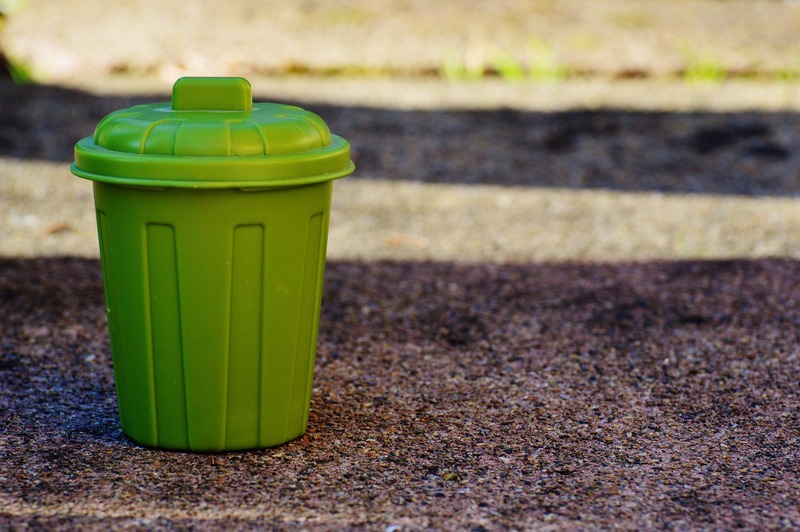 Data is regularly obtained from the waste disposal company and these figures are analysed during meetings. Bins are inspected every evening by Committee members. A rota ensures each committee member is assigned one afternoon to empty the recycling bins from the classrooms into the recycling bins in the corridors and out to the large wheelie bins. While doing this task, the committee members check the recycling bins for non-recyclables such as food, tin foil or cling film and check the general waste bin for recyclable items such as plastic bottles. Non-recyclable items are removed from the recycling bins and recyclable items are removed from the general waste bin. At weekly meetings findings from the previous week are discussed and a plan of action made (eg. poster campaign or an announcement) to target specific items that are being placed in the wrong bins. Toxic Waste & Nuclear Waste studied. Charts/Graphs produced to display figures for litter and waste in St. Mary’s. Projects on ‘The Impact of Litter and Waste on the Environment’ and ‘Water: A Valuable Natural Resource’. The students create posters highlighting and raising awareness about these issues which are displayed on classroom walls. Compost bins outside the home economics kitchen are used by all year groups for dumping raw scraps of fruit/vegetables when cooking. Students wrote an acrostic poem about RECYCLING. Recycling: Art works are created using recycled materials. Posters created to encourage students to reduce, reuse and recycle. Waste figures are shared on the Green Schools noticeboard and on the Green Schools Committee Facebook page. Notices displayed on the screens in the canteen area, upstairs in the main corridor and in the staff room. Posters are displayed on the walls of the school where bins are located to remind students what to put into what bin. Information regarding the latest work by the committee is posted in the School newsletter. They tweet about all school related activities, including activities conducted by the Green Schools Committee. The school email system is used to inform all staff members about Green-Schools related activities. They also organised a Day of Action and National Spring Clean in conjunction with Mallow Tidy Towns.